Come winter and we are all geared up with our festive and holiday mode on! There are many places to visit in India in December offering a warm welcome to the tourists during this vacation-friendly month. Head towards the northern part of the country for the love of snow. Go to the south to celebrate unique festivals. While north-east India welcomes the newly wedded couples, the western part portrays the vividness of India. If you want to trace the imprints of the history, look forward towards central India without any second thought. 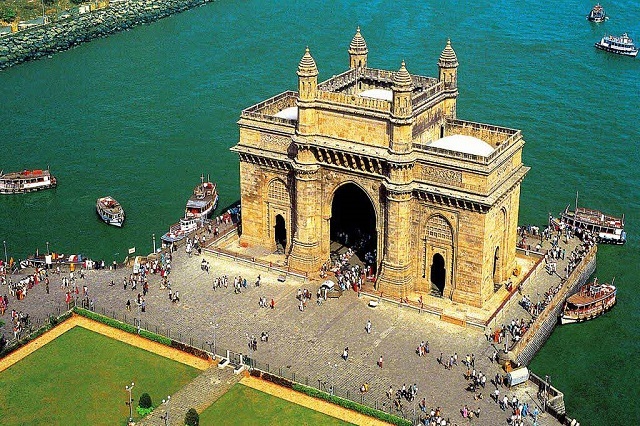 All in all, there is a plethora of winter holiday destinations in India. Read on, to know more about them. How about spending your winter holidays in paradise? 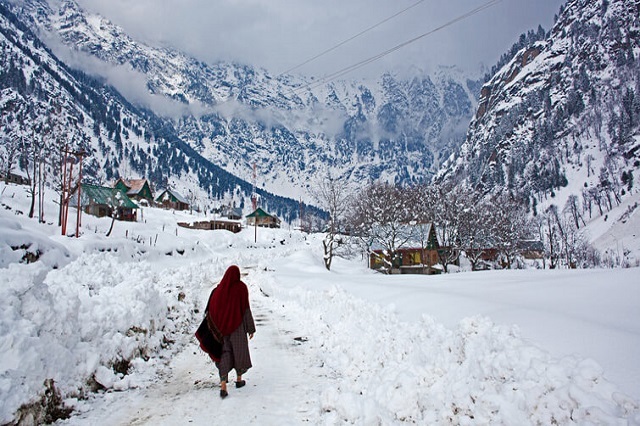 Kashmir gets covered with a blanket of snow in December and presents a sight to behold. Whether planning a honeymoon or a family trip, the state is an ideal place to feel the bliss of winters. From scenic lakes, green valleys to rugged mountains, Kashmir has them all. 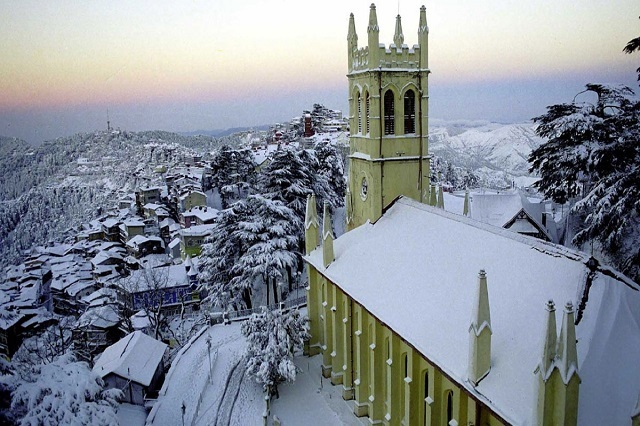 Reckoned as one of the best places to visit in December, Himachal Pradesh is a haven for backpackers. Partake in winter sports activities or admire the natural beauty, the state has something for everybody. Mere the mention of the word Himachal gives a clear idea of what to expect here; as it translates to the ‘Land of Snow’. 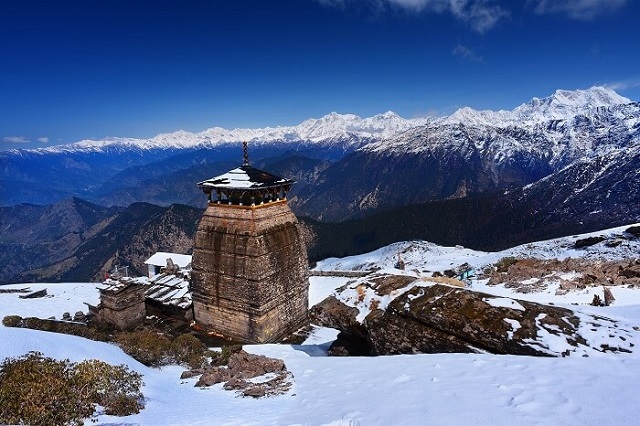 Next on the list of best places to visit in December in Uttarakhand. Dotted with pilgrimage sites and scenic beauty, the state is famed for housing sites of the Chota Char Dham Yatra. Overlooked by the majestic peaks of the Himalayas, the destination will make you fall in love with it. Forget all your worries behind and embark on a spiritual sojourn to find the inner peace. 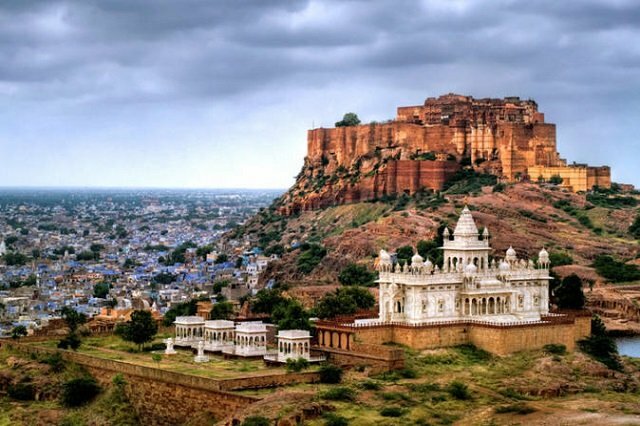 Rajasthan ranks on the top on the list of winter holiday destinations in India. Come December and the royal state beguiles with its various charms. Ditch your blankets and move out to delight in a treasure trove of various attractions and unique experiences. Spicy Rajasthani food is the best way to battle with the winter chills. Try to resist the magic of traveling to the royal state on Palace on Wheels, one of the prominent Indian Luxury Trains. Winters are nothing less than a bliss in Maharashtra. This makes it appear in the bucket list of travelers planning to spend holidays in India in December. Soothing getaways, salubrious weather, serene hill towns and sun-kissed beaches, the state flaunts them all. Tucked between the Western Ghats and the Arabian Sea, the amazing place will urge to visit here often. Nothing can beat the festive vibe of Goa in December. The popular winter holiday destination in India is flocked by youths, honeymooners, solo travelers and holidaymakers with family. 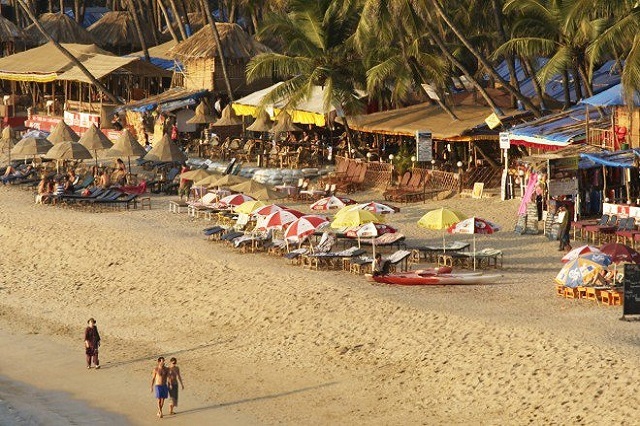 The ‘Party Capital of India’ features, beaches, churches, shacks, lively nightlife, cruises, water sports and what not! The zeal to celebrate Christmas and New Year is worth witnessing. When in Goa, don’t forget to shop at the famous flea markets. 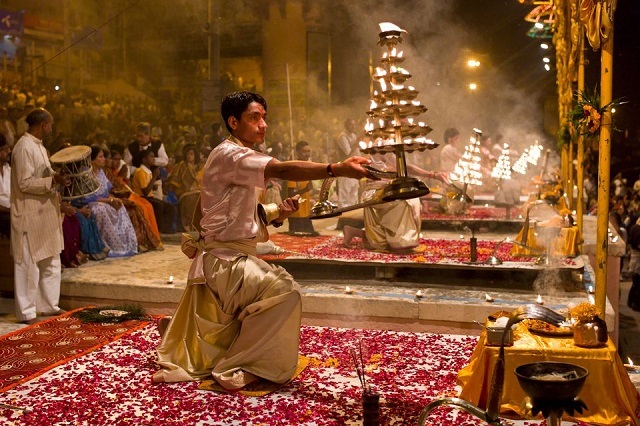 The unique spectacle of the mesmerizing Ganga Aarti in Varanasi is sure to render you speechless. Although a large number of devotees visit the holy city throughout the year but December is the best time to visit Varanasi. Well-known for its ghats adorning the banks of River Ganga, the spiritual and vibrant city is believed to provide Moksha. The enlightening trip to one of the seven holy cities in India is best experienced by traveling on the Maharajas’ Express. Fondly known as the ‘God’s own country’, Kerala has a myriad of places to visit in December. From visiting the coffee plantations to sailing on waters in kettuvallams, there are lots of things to do in Kerala. The list of various charms includes Munnar - a honeymooners’ paradise, enchanting Kerala backwaters and Golden Chariot traveling to Alleppey, etc. Jim Corbett tours are better enjoyed during winter. Nestled amidst the foothills of the Himalayas, the Jim Corbett National Park enjoys popularity for housing Royal Bengal Tigers. The oldest National Park in India also preserves a number of species of flora and fauna. 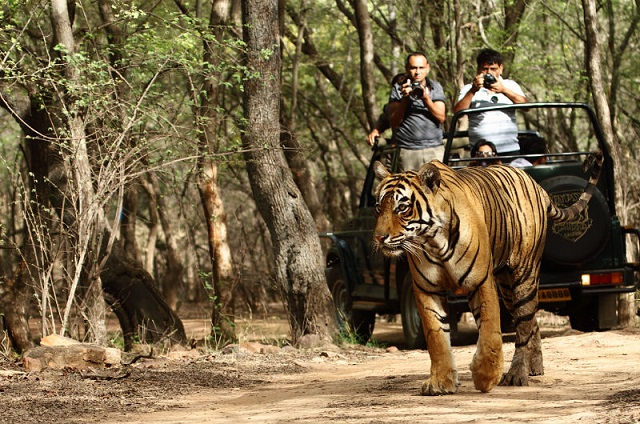 Jungle Safari in Jim Corbett is the major highlight and attracts various tourist from all over the world. Andaman Island is an ideal destination to plan your winter holidays in India. Transform your vacations into a magical affair by spending days exploring the fascinating archipelago. 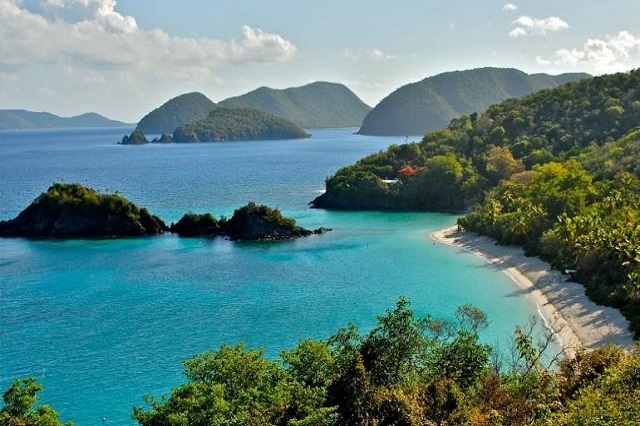 Grabbing the attention of scuba diving enthusiasts worldwide, the island is a must-visit at least once in a lifetime. Adventure activities, island hopping, awe-inspiring sunset views, picture-perfect beaches and shopping will keep you engaged for days. If you’re also looking for the best places to visit in India in December, do consider these amazing destinations on a priority basis.